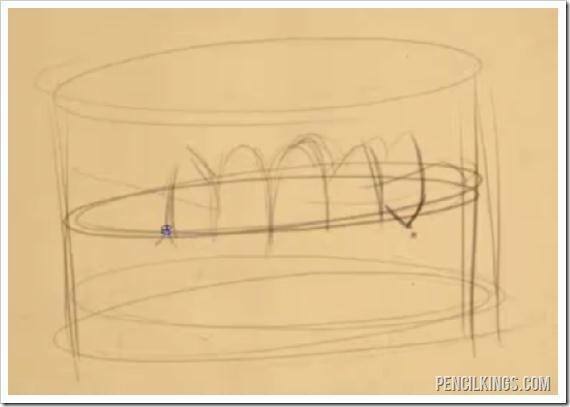 Start off drawing teeth with a cylinder to first establish the general roundness of the mouth. It’s important to realize that when you are looking at the mouth from the front view, you’re going to be able to see at most about 5-6 teeth on each side. To help illustrate this, you can look at the male and female smiling mouth examples below and try to count how many teeth are showing on each side of the middle point. You can also see how the teeth change angle as they curve around the mouth (or rather as the mouth curves around the teeth) towards the back part of the mouth. Finish sketching out the upper and lower row of teeth and then draw in the gums above and below the teeth. 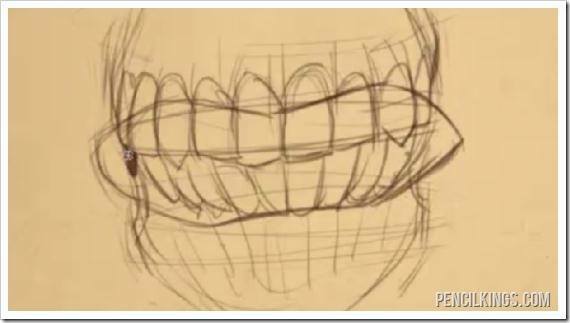 The main point of this exercise when learning about drawing teeth is to begin thinking about them as three dimensional forms that curve toward the back of the mouth. 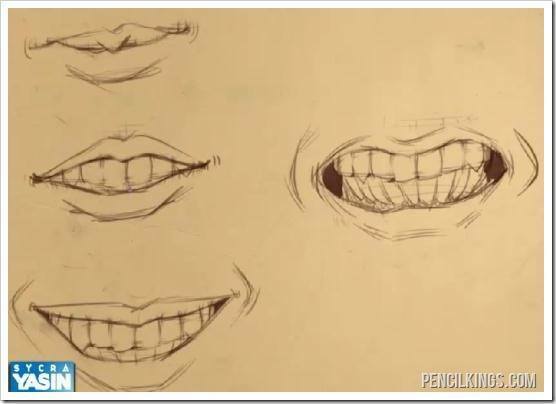 You’ll also see in the video that we’ll be using these base teeth over and over again in the following examples by drawing the lips over top of the teeth in different positions and then either erasing or showing the teeth as the lips open. Here you can see a closed mouth drawn over the teeth, hiding all of them. In this study, the upper and lower lips have been opened slightly. As the lips move up and down they also lose some of their volume compared to when they are at rest in the closed mouth position. This is caused because as the lips change their position they are getting stretched. In this example you can see that the corners of the mouth have been raised up, pushing the mouth into a smile. Before you start trying to draw a smile on your own, you should take a minute to look in the mirror at your own mouth and watch how it changes as you begin to smile. How does a half smile differ from a full smile? How many teeth are showing? How does the thickness of my lips change as I go from closed mouth into a smile? 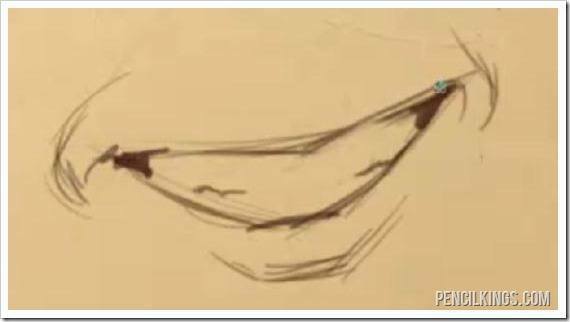 What extra lines become visible on my face as I smile? How does smiling widely affect my nose and eyes? 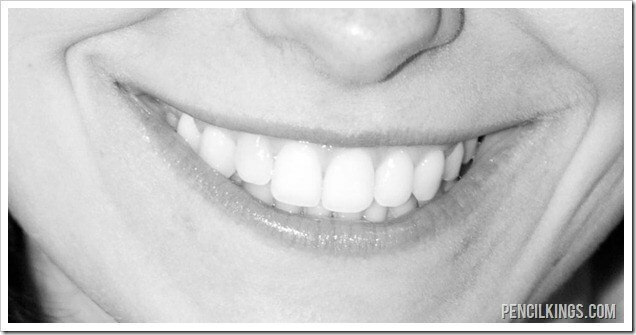 As you smile broadly you will find that creases form on the sides of the mouth. 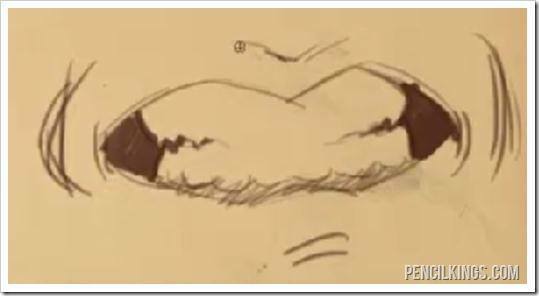 When you are drawing the mouth keep in mind that each person is different. While we may have the same elements that makes up our smile, you can start to add variation to the different people you are drawing. Subtle differences and variation in the mouths that you draw will give them an additional touch of realism. 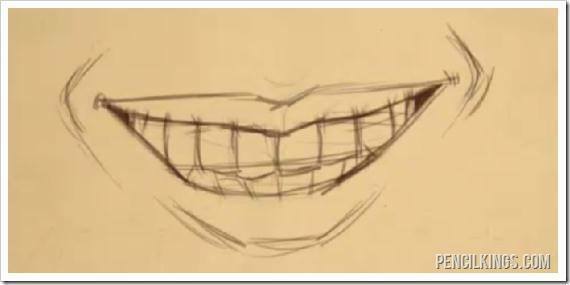 When you’re learning about drawing teeth, you should also start looking at how people’s smiles differ while you are watching people on TV, in magazines/newspapers or just out on the street. First start out with the underlying teeth and then draw the basic shape of the mouth stretched both vertically and horizontally. All of this stretching is going to cause the lips to extend past the sides of the teeth, and allow some of the gums to be shown. Shade in the sides of the mouth where the lips have extended past the teeth. This area of the mouth will naturally fall into shadow. To finish off the angry drawing of a mouth add some shading to the gums. Then draw in the lips, which should be quite thin due to all of the stretching they are doing to make this extreme pose. For more reference, go back in front of the mirror and test out making this extreme pose for yourself and take a minute to study the finer details of your own angry mouth. 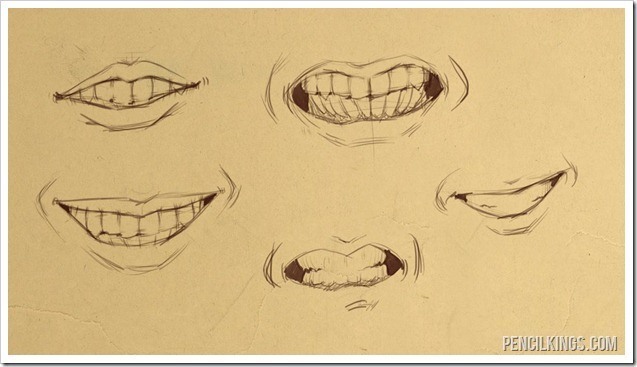 In the above example image, you can see that the individual teeth are drawn for each of the expressions. 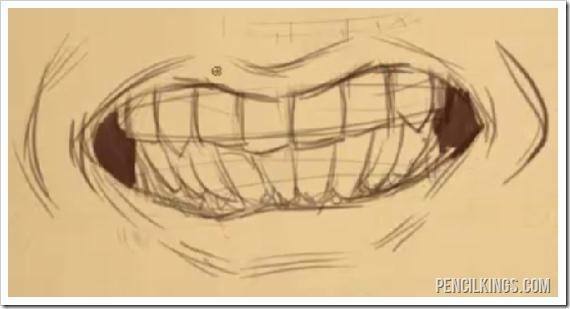 While you may want to draw the teeth like this if you are drawing someone very up close and personal, a better way is to only indicate some of the teeth, and let the person viewing your work mentally fill in the line work between the teeth. 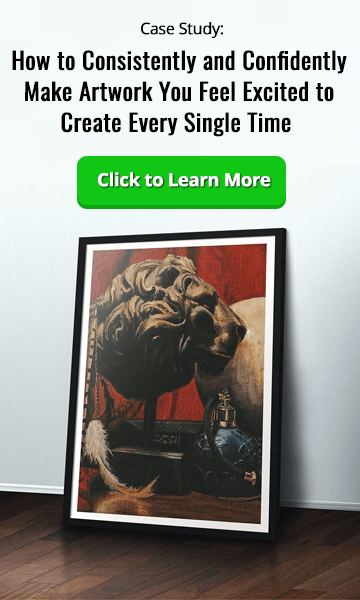 If you’ve never heard of the concept of letting the viewer ‘fill in the gaps’ with your artwork, you’ll understand it in the next step. 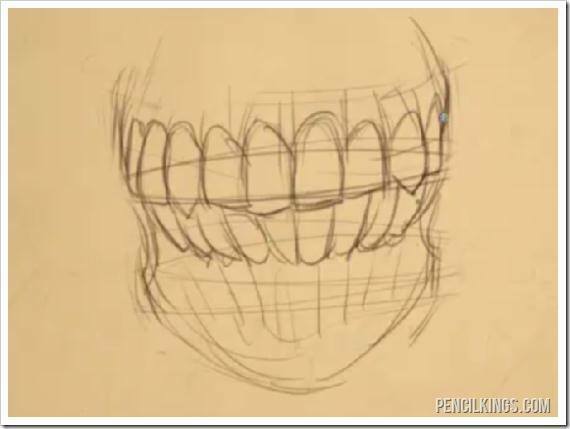 The better way how to draw teeth is to only draw in the shaded parts that occur at the edges of the mouth and to just lightly define the horizontal line that separates the upper and lower set of teeth. The only time that you’d really want to use black lines to define individual teeth is if you were drawing someone that perhaps had gaps in their teeth, or extremely crooked teeth. 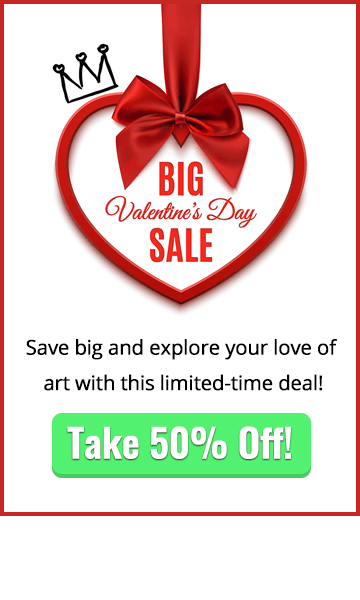 Generally, however, you want to bring out the best in the people that you are drawing, so simplifying the teeth is one of the ways how draw a mouth that’s going to look good. Here’s another example of an angry mouth with the gums showing and with only minimal definition of the teeth. Looks better, don’t you think? In the next lesson on drawing teeth, you’ll learn the last piece of the puzzle as you learn how to draw an open mouth. 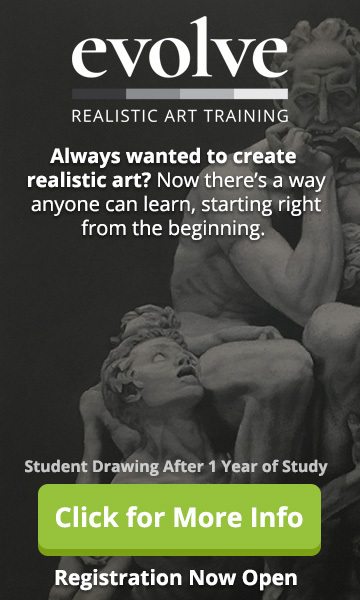 By the time you are finished with that lesson you’ll have a solid understanding of how to draw all kinds of mouths for any type of character.